Has Hollywood Been Shamed Into Closing the Pay Gap?Scarlett Johansson’s making $15 million for a Black Widow movie. ‘Thin-Skinned’ Ivanka Trump Couldn’t Stop Whining About SNL’s Treatment of HerRemember that “Complicit” fragrance? Scarlett Johansson Leaves Her Role in Rub & TugThe actress had come under fire for taking on the role of a trans man. Woman Will Be Allowed to Direct Marvel Movie by HerselfCate Shortland will helm the Black Widow film. Scarlett Johansson Issues Statement About Rub & Tug Casting BacklashIt was announced yesterday that the actress would be playing a man who potentially identified as transmasculine. 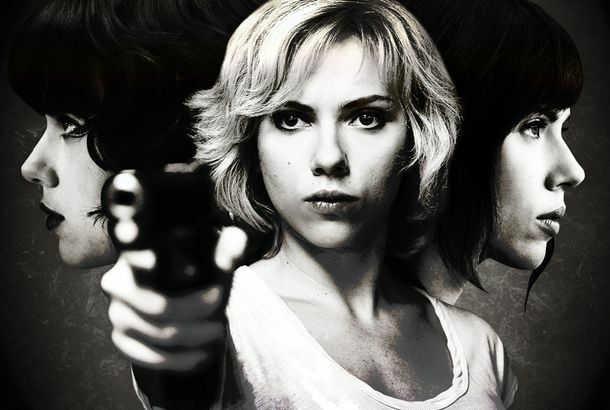 Scarlett Johansson Joins Massage-Parlor Mob Drama Rub & TugDon’t let that title fool you. It’s not a buddy comedy. Scarlett Johansson Doesn’t Need to Audition for a BoyfriendEven if he is Tom Cruise. Taika Waititi’s Next Film Is a WWII Satire in Which He Plays HitlerSounds like appointment viewing. Marvel Has Hired a Screenwriter for a Black Widow Stand-alone MovieJac Schaeffer recently wrote the script for the Disney short Olaf’s Frozen Adventure. Behind the Movies: How the Dystopian World of Ghost in the Shell Came to LifeVisual-effects supervisor Guillaume Rocheron on how he brought the visual spectacle of manga and anime to live action. New Rough Night Trailer: Weekend at Bernadette’sScarlett Johansson, Kate McKinnon, and Ilana Glazer enjoy a night of drinking, dancing, and corpse disposal. Jon Favreau and Scarlett Johansson on the Lion King Remake and ImprovThe director defended improv to Scarlett Johansson, who said got “sweaty palms” at the thought of ad-libbing. How Scarlett Johansson Became Our Finest Post-Human Movie StarRecent films like Ghost in the Shell, Her, and Under the Skin show an actress interested in exploring the limits of humanity. How Mad Should You Be About Ghost in the Shell?A guide to properly calibrating your outrage. Movie Review: Ghost in the Shell Has the Look of the Original, But Not Its BrainThe remake shoddily grafts an American narrative of heroic individualism onto a story about the Singularity. Ghost in the Shell’s Anime Director Mamoru Oshii Dismisses Whitewashing ClaimMamoru Oshii says he has no problem with who plays the anime character because she’s a cyborg with no fixed form. Fans Use Ghost in the Shell Meme Generator to Call Out Film’s WhitewashingA Major misstep. SNL Bestows Ivanka Trump With Very Own ‘Complicit’ FragranceBeautiful, powerful … complicit. Scarlett Johansson to Become Only the Fourth Woman to Host SNL Five TimesShe joins the exclusive Five-Timers Club. See the Trailer for Scarlett Johansson’s Ghost in the ShellComing to theaters March 31. ScarJo Talks Ghost in the Shell Whitewashing, Denies She’d Play Non-White PartFor ScarJo, the Ghost in the Shell talking point isn’t race, but gender. See ScarJo in a Ghost in the Shell TeaserScarlett Johansson is definitely in this movie, but not much else is clear. Cyndi Lauper Criticizes Madonna’s March SpeechGirls just wanna have broadly digestible protest rhetoric. Scarlett Johansson Stays Thrilling in TangerineWhy do men keep dying around Alice Shipley? Celebrities Have Now Resorted to Begging You to VoteScarlett Johansson will drive you! Ty Burrell Cast in Comedy Rock Your BodyHe’ll be going to Miami Beach with Scarlett Johansson, Ilana Glazer, and more. J. Law Tops Forbes Highest-Paid Actresses ListJ. Law is really mopping up the competition. Rila Fukushima Joins Ghost in the ShellHer role hasn’t been announced, but it’ll surely be something futuristic. Here’s Your First Look at Scarlett Johansson in Ghost in the ShellBig lack of shells, to be honest. Scar Jo Feels ‘Obnoxious’ Discussing Equal PayActually, we need to talk about the gender pay gap. An Engineer Built a Scarlett Johansson Robot, HmCongratulations to your boyfriend on his new robot! Theories on What Bill Murray Whispered at the End of Lost in TranslationIn honor of the film coming out ten years ago today. Listen to ‘Before My Time,’ the Oscar-Nominated Song Sung by Scarlett JohanssonMiss Johansson, if you’re nasty. Benjamin Walker Returns to Broadway for Cat on a Hot Tin RoofThe erstwhile vampire hunter buffs and boozes up to get back on stage.